What is Your Savings Rate, Your Spending Rate and Your Personal Free Cash Flow? I written a lot of articles where I used the terms savings rate, or your level of savings and I think some of you may be confused about what do I mean savings rate. What goes into the savings rate. So this article is to try and make sense of it. With this, it will make my other articles more understandable. I would also go through some discussions so as to help you understand these 3 terms better. For the majority of you, you have a day job that you earn income. Your income is made up of the portion where you can touch and the portion that you couldn’t. The one that you couldn’t could be a mandatory government pension plan system, such as the CPF in Singapore. The income that you earn before all these deductions is called Gross Income. Your take home pay, or disposable income is the cash flow that you get to make decision upon that is unconstrained. So we use these 2 terms take home pay or disposable income interchangeably. For those of you that have a business, you are likely to get a workers income out of your company, for the work you do in your business, or a dividend income. So overall take-home pay, disposable income, dividend income are income that are unconstrained for you to make decision upon. What is not included are money that we channel to help us achieve a future spending requirements. This may be obvious or not obvious to us. We compartmentalize this, and call these our cash flows to build our wealth assets. Your spending rate is the percentage you spend divide by your disposable income. So for example John and his family earns $75,000/yr before deduction by the government. The government has a mandatory forced savings of 20%. So his disposable income is $75,000 x (1-0.20) = $60,000. In the last year, John and his family have a cash outflow of $55,000/yr. So John and his Family’s total spending is $55,000 – $12,000 – $4,000 = $39,000/yr. The family spending rate = $39,000 / $60,000 x 100 = 65%. For every $1 John and his spouse earned, they spend $0.65. Your savings rate is the percentage of cash flow that you do not spend, according to our definition in the spending rate. The idea is, what you do not spend, you are not put into the system of cash outflows, so you are actually savings. So what we get is really the cash flow into wealth assets. Going back to the previous example, John and his family spent $39,000/yr out of his $60,000/yr in disposable income. Thus his savings rate is = ($60,000 – $39,000) / $60,000 = 35%. John and his family have a pretty good savings rate. Personal free cash flow, is a term, derive from business. In our financial analysis, we wish to find out what is the amount of cash a stock/business have, after its necessary cash outflow, to use at their own discretion. Thus a healthy free cash flow is vital. For more of the different cash flows in business, you can read my comprehensive article on cash flows here. Now your personal free cash flow is the same. Very similar to business. Both are discretionary. #1 and #2 is considered as fixed expenses, or mandatory spending. Why is that? If you do not spend on them your family will face a lot of social and wellness issues. Why is #3 not? If you do not go to the bird park, you will face a morale issue but its probably not mandatory. I have to admit, whatever that is mandatory is subjective. And to be discussed in the comments section. This looks simple enough but the difficulty, or the subjective thing is figuring out the mandatory spending. Do we include all those spending that you have to pay month by month such as cable television? I don’t think cable television is mandatory, but that is me. John and his family spends $39,000 per year but out of these probably $28,000/yr is mandatory. So his personal free cash flow = $60,000 – $28,000 = $32,000. Thus John and his family have $32,000/$60,000 = 53%. With this we can go into some deeper discussions. There is an inverse relationship there. Why we list out these 2 is because to some even if the math is pretty clear, people do not realize that their savings rate is opposite of their spending rate. The main contention is that they do not have much money saved up. So they conclude that they do not have much savings. Investments and insurance to them are not savings. And perhaps that is the growing frustration with the term savings. If we group them up and say their overall objective is meant more for not spending now but in the future, the mindset should shift. If we clearly break these savings cash flow masquerading as spending, you can see the distinction better. Your savings rate and your personal free cash flow looks pretty similar. The difference between them is how you segregate your expenses, mandatory or discretionary. My co-worker, always says she does not have savings because all her expenses are mandatory. A lot of us disagree with that. I think that if you are used to your current standard of living, and cannot imagine you ever stepping down to a lower standard of living, even if you lose your job, then your saving rate will equal to your personal free cash flow rate. For those who are more intentional, they would be able to classify different grades in their spending. Thus, what is mandatory and discretionary can be identified. Why Disposable Income? Why not Gross Income? This is the formula that I use, but if you can choose to communicate with gross income, it is OK. The important thing is that you communicate the parameters across. Personally, I don’t think if you have a large amount of CPF or pension currently, it constitute as free cash flow. 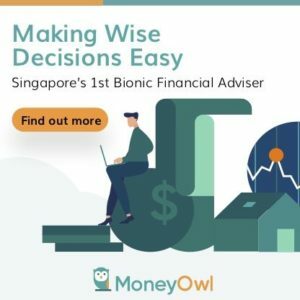 However, housing mortgage, which is a large spending, is blurred as it can be considered as partially paid by disposable income, partially by your CPF. In this case, it might make more sense to group them together. The problem with that, is that your savings rate and free cash flow will be very high, as your CPF Special Account and Mediave are consider future spending objectives, or meant for the future. The CPF is one of the reason why we are said to have a 20% savings rate as a percentage of our gross income. However, could we make use of it if we wish to upgrade ourselves or for medical needs? I don’t think you could do it with your Special Account, but you could for your Medisave. So this is up to your discretion. If we are able to split our spending to mandatory and discretionary, that means that in theory, you can have 2 spending rate. For most people there should not be too much difference, unless your discretionary spending is clearly very significant. Knowing 2 different spending rate, say for example 46% and 65% for John and his family, will allow him to gain an appreciation that in the worse case his pay could drop in half and his family can scrape by. Working through this computation is also necessary to identify the level of wealth you need to retire, be financially independent or financially secure. I think to recap, the table above gives you a good idea how I classify things. And it might help you make sense of some things in your personal planning as well. After I get this out of the way, I can then link to a deeper conversation on this topic. Let me know if you have a different way of seeing things. I think that you need to focus on the savings rate. Every time you get a salary rise put a large proportion of that automatically into savings each month (via standing orders or automated bank transfers). This will ensure that your savings rate will continue to increase. Additionally, without the money available to spend then you will naturally reduce your spending as a proportion of your total income. That is making things look too simple. If you are lower income, all your spending are mandatory (that you have finish reducing) then how do you focus on saving rate?